Dan Wootton says he wouldn’t allow his partner to take part in Strictly Come Dancing, following the controversial kiss between contestant Seann Walsh and his partner Katya Jones, who are both in relationships. 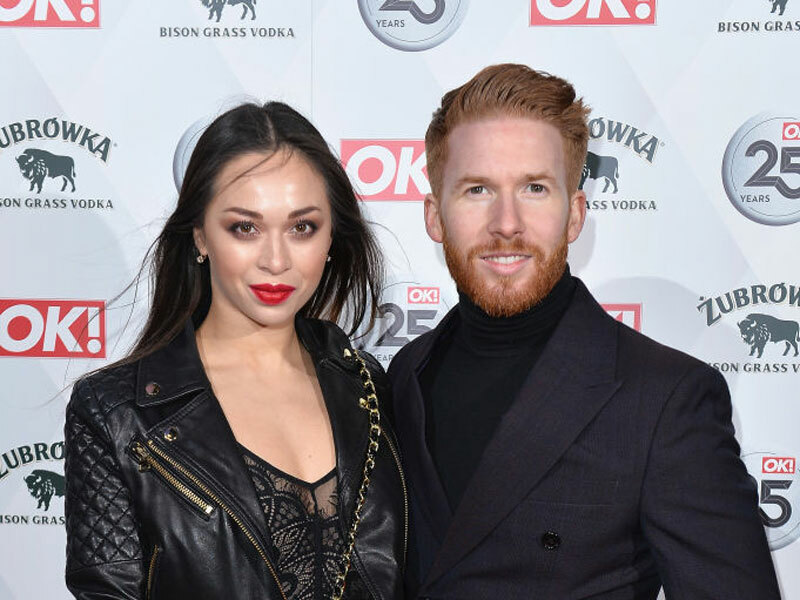 Jones is married to professional dancer Neil Jones, who has also appeared on Strictly, although he is part of the troupe and does not have a celebrity partner. Following pictures of Jones and Walsh kissing being published, Walsh’s former girlfriend posted a statement on Twitter saying she was “not a victim” and that despite Walsh and Jones “apologising in the media” she had “received nothing”. She also revealed that the night the pair kissed was her birthday, and that Walsh had sent her a text saying the pair were going for an “innocent drink”. Wootton joined Eamonn Holmes on the talkRADIO drivetime show to discuss the incident, and Holmes asked what kind of pressure Jones and Walsh would be under to remain on the show. “A lot of pressure,” Wootton replied, and revealed people working on the show feel “awkward” about the situation. “Seann’s also going to have agents and people advising his career who feel he should turn this around and get the public back on side. Wootton said Neil Jones was like his wife’s “assistant”. “Katya’s husband Neil is her professional dance partner, and he’s one of the poor blokes who’s part of the Strictly troupe who doesn’t get a celebrity partner,” he said. “I was on Big Brother’s Bit On the Side with Rylan and Katya the other night. I felt sorry for Neil, because he came along, and he was almost like her assistant, hanging around and sorting out her every whim. “If it was me, I’d be knocking Seann Walsh’s block off!” said Holmes. Wootton said he wouldn’t want any partner of his appearing on the show, and Holmes revealed he’d been asked to take part. “I wouldn’t be allowing my husband, my wife, my partner, my boyfriend on that show,” Wootton said. “It brings out the worst in people, they get very annoying after being on that show. They only want to hang out with people from Strictly Come Dancing, they only want to do things connected to Strictly. “[I have been asked to take part] a number of times, but how can I be responsible for some young Russian dancer, ruining her relationship?” Holmes added. His wife Ruth Langsford took part in the show last year.